Century Favour is very passionate about enabling leaders and teams, he operates under the radar through his different ventures consulting, mentoring, empowering and providing bespoke solutions to Ceos, founders, and teams that at the forefront of tackling some of the toughest issues facing the continent. It is his mission to ensure that they succeed because when they do, they make the future a better place for all of us. Century is a Strategy, Technology & Communications professional with a strong passion for social impact and helping businesses and organizations achieve success and growth. In the past decade he has worked on a local and global level with NGOs, civil society groups and organizations such as UNICEF, Diageo, Kantar futures, NNLG, PIND, Yali Network Abuja, Junior Chamber International to mention a few, helping them achieve their strategic objectives and drive sustainable development in Nigeria. He believes that future of the African continent will not be decided by those who simply talk and complain about the issues but by those who take action to solve them, that is one of the reasons he co-founded DO Take action a civic start-up. At DO he is building an active community of grassroots development champions, a network of young and old people taking action to solve a specific issue facing their community. At DO working with his team he empowers them with the expertise, technology, data, funding and access to networks that will enable them to carry out social impact projects in their community and make a difference. His vision is to create a society where everyone is consciously taking action to drive sustainable development in their locality and are witnessing the impact of their efforts. A graduate of Filmmaking from the New York film Academy, California, USA (Class of 2015 courtesy of a scholarship by the Nigerian government), he is also a graduate of University of Abuja with a B.S.Ed. in Mathematics. Starting his career as a film editor in 2007, he nurtured his passion for building the capacity of the younger generation by volunteering his skills as Head of Training & Facilitation, Digital peers International (a non-profit organization) for 7 years. Over these years, he has imparted and trained over 2100 teenagers in ICT, Digital Design, Film, and Mobile application development. In 2013, he played a pivotal role in the conceptualization of the Guinness #MadeOfBlack campaign by Diageo, this campaign has gone on to reach and transform how over 50 million young Africans think about their identity, instilling a sense of pride and ownership of their African identity whilst increasing traction for Diageo products across the continent. 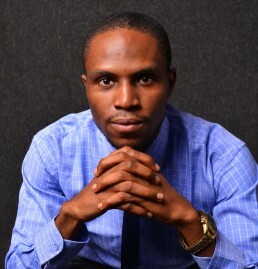 In 2017, he was appointed National Editor for JCI Nigeria (a global movement of young professionals taking action to drive sustainable development) where he worked closely with over 50 local presidents and chapters actively executing local community projects and advocacy campaigns to drive sustainable development in their community and he is currently an ambassador for sustainable development within the organization. Favour Ebere is currently a marketing and communications entrepreneur and a consultant for Kantar future in Nigeria where he provides market intelligence, consumer insights and analysis for multinationals who want to do business in Nigeria. Century Favour is very interested in the role people, businesses, government and organizations play in driving sustainable development in our society. Some of his ventures include.